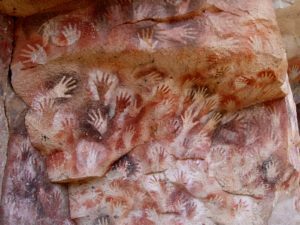 How cultural innovation shapes and drives human evolution and human nature. What makes us human? Until the twentieth century, various accounts of human nature vied for the attention of philosophically-minded people in the West. But all of them were brought into question with twentieth-century genetics, with its powerful evidence that we are shaped by DNA that we share in large part with our evolutionary ancestors. Some geneticists would go so far as to say that human nature is entirely encoded in that DNA. Stanford researcher Marcus Feldman, co-director of the Stanford Center for Computational, Evolutionary, and Human Genetics (CEHG), sees that kind of genetic reductionism as a “dogma” that needs to be challenged. For Feldman, genetic accounts taken in isolation are insufficient to explain critical elements of our humanity. Cultural traits, he argues, also significantly shape and partly constitute human nature. These traits, like genes, can be transmitted from one generation to the next, cross-pollinate with other traits, and can be studied as rigorously as gene sequences — a claim that raises skepticism among some scientists. The triumph of humans over Neanderthals, for instance, may best be explained not in terms of genetically contoured traits, but rather by traits that humans acquired through cultural innovation. For example, technological advances that led to superior tool production, and the cultural transmission of the ideas needed to build those tools, may have been sufficient to give modern humans the evolutionary upper hand. In 2014, Feldman embarked on a two-year investigation into the impact of such cultural innovation on human nature and evolution. His research spanned two related projects. The first explored how different traits in individuals and throughout populations affect creativity and cultural trait accumulation across generations. The second focused on how new cultural traits diffuse within and across populations through social networks. Both projects converged toward a single goal: rigorously modeling the creation and dissemination of cultural traits. Feldman’s earlier work focused on niche construction theory — a view that challenges the notion that an organism’s fitness is fixed, in large part, by environmental conditions which it has little or no power to affect. In this alternative view, the evolutionary causal arrows go both ways: organisms creatively alter their surroundings, and those altered surroundings simultaneously drive the fitness of organisms. These causal paths can create feedback loops that catalyze enhanced fitness. Human cultural innovations, in this view, are among the most powerful forms of such feedback loops ever devised. To determine the rate at which such new traits arise in humans, Feldman’s team created simulations that introduced new tools and new learning methods into virtual populations. The results showed that what matters is not just the size of a population displaying varied traits, but also the extent to which cultural innovation, like creativity, enhances fitness. Feldman’s second project involved uncovering the conditions needed for cultural innovation. By incorporating, in their simulations, the assumptions that cultural knowledge is not uniformly distributed in a population, and that one innovation can provide what is needed to make further innovations easier, they were able to explain the common finding from archaeology that technological innovations often occurred in bursts after long periods of stasis. These projects, and other work carried out by Feldman’s research team, are part of a burgeoning movement in cultural evolution — indeed, a workshop conducted as part of the grant led to a special issue of the prestigious journal Philosophical Transactions of the Royal Society B on the topic, and alumni of his research group are now at other universities, pursuing research that began with the grant. We can’t escape our genes, but biology doesn’t fully define who we are. Indeed, on the evidence from Feldman’s fruitful two-year grant, the cultural dimension of human nature — and human evolution — is only just beginning to come to light.